Exact timing will depend on submission through Sony and Microsoft. We currently estimate the patch will be live during the week of April 29th. After Easter we will also publish a roadmap of other updates and fixes, including fixes for bad collisions and the addition of 6 player online play. Answering your questions is really important to us. However we’re a small team of just 7 people and we’ve received more messages in the last week than we could ever answer individually. On this page we will maintain a list of frequently asked questions and known issues. This is the best place to find out the most up to date information on Dangerous Driving and get your questions answered. Please check back regularly as we are updating it on a daily basis. We have prioritised the issues reported by the most players and will be releasing a first patch very soon (see panel on the left). Thank you to everyone who sent in bug reports and videos. Whilst these bugs are far from ideal they do not happen for everyone and that’s why we needed the help of the wider community to track them down. The Known Issues below are the other issues we are continuing to look into. After Easter we will release a roadmap of updates, just like we did on Danger Zone 2 which we supported for a full 6 months post launch. What DLC and update plans are there? We plan to release a first patch as soon as possible after Easter. See list of fixes above. A roadmap will be published at the same time covering plans for subsequent patches and for online play. The first major content update will be the addition of online play. This will be a FREE content update. If you have found an issue with Dangerous Driving we want to know! Please fill out the form HERE. However please do check whether it is already listed in the Top 5 issues above or the Known Issues list to the right. Why haven't you replied to my email? We are a tiny team and due to the volume of emails we are receiving its just not possible for us to answer them all personally. However rest assured that we ARE reading them all. To those of you writing to say how much you love the game – thank you! We really appreciate all these messages and have been overwhelmed by your support. What versions of the game are available and where can I buy? The digital version is available on PlayStation 4, Xbox One and PC (via the Epic Games store). What is the VIP Sedan and how do I get it? The VIP Sedan was a special car we created for digital pre order customers. We are selling the game via the Humble Store and the store is now live. We do not have any plans to release the game on Steam or any other store at this time. Is there a single player progression? …. Yes and this is what is available now. FREE online racing DLC is coming soon. For more details on that and all the game modes see our blog post here. The non race events are the ones that have Platinum medals. These are Survival, Road Rage, Pursuit and Shakedown. How many cars are there in the game? There are 27 (28 with the VIP Sedan from the digital pre order). One (the base Sedan) is open at the start (unless you have a digital pre order in which case you also will have the VIP Sedan at the start) and the rest you unlock through play. Certain car types are tuned to specific events which you can read about HERE. …. There will be online racing. We are working on it right now and we will release it as FREE DLC very soon. There is no local i.e. split screen multiplayer. Does the game run at 30fps or 60 fps on console? Is there a platinum trophy? …. Yes and you can check out the Trophies and Achievements on our blog now. Which cars count towards the 'Tyre Kicker' and 'Delivery Miles' Trophies/Achievements? All of the vehicles (excluding the VIP Sedan) count towards the Trophy/Achievement – including the pursuit vehicles. However we added the supercar cop very late in the development (after we had implemented all the Trophies/Achievements)… as a result you can get the Achievement/Trophy by driving the miles in all but one car (it doesn’t matter which one it is). What Music is in the Game? The music in Dangerous Driving is delivered via Spotify. Follow ‘Three Fields’ to see our dream playlist. We have created a blog post explaining the steps. Please check it out HERE. Is there Steering Wheel Support? No we do not currently have steering wheel support. It is something we are looking at but as we are a very small team we are currently all focussed on making the online play. Check back here for more update. How do I do well in Heatwave events? Our advice is to be sure you are using a Tuned car which you will need to unlock by doing other events (the ticker tells you which). Tuned cars are best for Heatwave as they earn, burn and chain boost quicker and you get a 2mph speed increase for every successful chain. See our blog post about the Vehicles for more info on this. Is Traffic Checking in the game? Note: we have seen cases of you not crashing when you should and we are looking into this. We already made two games in this genre – Danger Zone and Danger Zone 2. Check out the other pages of this web site for more info. Collision Issues –there are cases where the player’s car should crash (because they hit something at 200 mph+) and they’re not – leading to bad physics reactions such as the player getting spun 360 degrees or other bad collisions. We expect to have a fix for this soon – check back for more info after Easter. 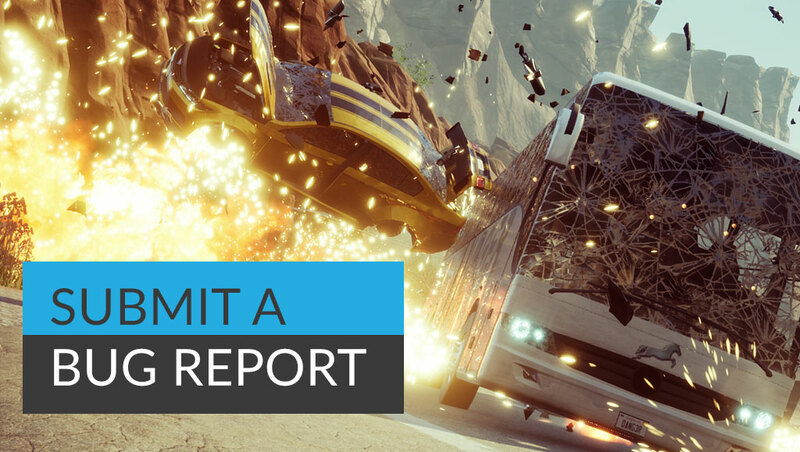 Getting stuck in an infinite loop with the car respawning and crashing – this is because you have been reset outside the race track. We are in the process of implementing a more elegant solution. Frame rate stutters in the Point to Point Tunnels​ – in the 9 Point to Point course we join 2 and sometimes 3 completely separate locations together. When we load in a new level we do it in a tunnel whilst the player is travelling at speeds often in excess of 200mph. As a result a brief 1 second stutter may occur. We are continuing to look at whether it is possible to eradicate the stutter. Xbox One Disk Version auto installs Danger Zone 2, not Dangerous Driving – This occurs on Xbox & appears to have been a problem incurred during manufacturing so unfortunately we have no control over it. The workaround is you must pause the Danger Zone 2 install & then you will be able to install Dangerous Driving. Pre Order VIP Sedan not unlocking on Xbox – We have heard reports that this may have happened to a few people. If you pre ordered the Xbox digital version and do not have the VIP Sedan please fill in the bug submission form so we can investigate. “Arrows Point the Wrong way” – we had a debate about this during development – these arrows point the right way for the road, i.e. they are in-world/real life road accessories not race direction markers. Leaderboards not updating on PS4 – Sometimes it can take Sony’s servers around 10-20 minutes to update. Check back again later and you should see it has updated. Traffic driving both ways on the split road sections – the crazy fools! If you’re seeing an issue not on this list please submit a bug report HERE and we will take a look. Thank you.